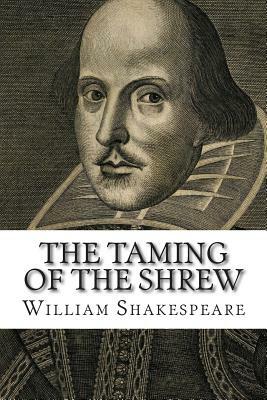 The Taming of the Shrew is a comedy by William Shakespeare, believed to have been written between 1590 and 1592. 'The Taming of The Shrew'-which, like 'All's Well, ' was first printed in the folio-was probably composed soon after the completion of that solemn comedy. It is a revision of an old play on lines somewhat differing from those which Shakespeare had followed previously. From 'The Taming of A Shrew, ' a comedy first published in 1594, 163] Shakespeare drew the Induction and the scenes in which the hero Petruchio conquers Catherine the Shrew. He first infused into them the genuine spirit of comedy. But while following the old play in its general outlines, Shakespeare's revised version added an entirely new underplot-the story of Bianca and her lovers, which owes something to the 'Supposes' of George Gascoigne, an adaptation of Ariosto's comedy called 'I Suppositi.' Evidence of style-the liberal introduction of tags of Latin and the exceptional beat of the doggerel-makes it difficult to allot the Bianca scenes to Shakespeare; those scenes were probably due to a coadjutor. William Shakespeare (26 April 1564 (baptised) - 23 April 1616) was an English poet, playwright and actor, widely regarded as the greatest writer in the English language and the world's pre-eminent dramatist.